Authentic guitars for sale at the guitar hall boutique,chembur. GUITAR HALL is an authorized dealer for a vast range of guitars of all leading brands. All guitars are handpicked by professional guitarist’s right from the factory! Rest assured flawless quality. Carrying an experience of more than a decade, we are apt at understanding the musical needs of the musicians and keep our stock decked up to meet the requirement. Being professional musicians ourselves, help in discerning the quality easily and helps us in precise quality checks. All the Guitars at the Guitar Hall Store are classic designs handmade with extremely high quality materials, great playability, and excellent tone & look, carefully selected through long hours of careful inspection. 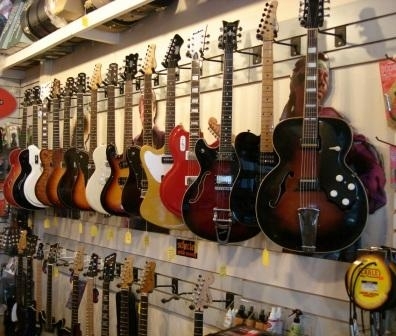 We have the best selection of guitars. If you're looking for a real guitar that will get you beyond the starter stage we can show a vast selection. We also have cases, strings and accessories. Our prices are fair & competitive with the big box stores but our quality & service is unmatched anywhere in Mumbai. CHEMBUR: B-7,Gurudev Apartments,R.C. Marg,Chembur naka,near Akbarallys,Chembur,Mumbai-71. Sony: 40 inches/r47b/ brand new piece for sale. Sony:42 inches/w700b/ brand new piece for sale.